#Help: My Cat’s a Vlogging Superstar! 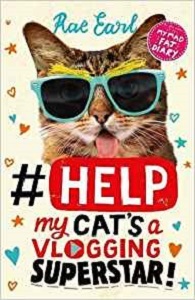 A hilarious story about two best friends, a cat and a vlog gone wrong from the author of TV’s My Mad Fat Diary, perfect for fans of Holly Smale, Cathy Cassidy and Zoella. Everyone relies on Millie Porter for good advice – her friends, family, even her cat. So she decides to start a vlog with her best friend Lauren, where they will help people with the things that really matter: parents, cats, make-up and boys. Not even Erin Breeler, Queen of Instagram, can stop them. But is fab contouring and a cat who likes standing on Millie’s head enough to make her an online sensation? Millie Porter lives with her mum, her mum’s boyfriend, Mr Neat Freak, and her female cat called Dave. Her life was oh so simple until Mr Neat Freak moved in. Now she is constantly followed around by the man with a dustpan and brush waiting for her to drop the tiniest of crumbs for him to clean up. Her BFF is Lauren, who is a little bit of a drama queen, and panics at everything. Mollie is her voice of reason. Lauren’s parent’s constantly argue, making her home life miserable. After one too many run in’s at home with her mum and her petty rules, and the boyfriend, Mollie decides that she wants to go and live with her dad, in the mad house, which he shares with her sexist Grandad, and her Aunty Teresa, aka ‘La Diva Mentalis’. One afternoon trying to cheer Lauren up, Mollie does a video on how to do your make up to look like a panda. The video is a success, so the two decide to make another one, this time featuring Dave the cat. The internet went wild. Millie decides that Vlogging is the future, and being the voice of reason, decides that her vlog will be about giving advice, in a fun way. Told in the first person by Mollie, this book is what teens have been waiting for. 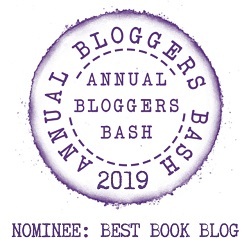 It is something completely bang up to date, with it’s hash-tagged chapters, plenty of social media action, and of course, Vlogging (video blogging for those that don’t know what it means). It is completely hilarious as Millie’s narrative on her life is amusing. She has an old head on her shoulders, and is often the one with all the solutions, the go-to girl if you have a problem, so I’m not surprised she started an advice Vlog. She is very likeable, and it’s easy to see why people would take to her. Millie’s life also includes a love triangle, and a bitchy diva who is determined to make Millie fail, and ruin her life. This book will hook you in from the very first line. It gives you excitement, lots of laugh out loud moments, and pure enjoyment right until the last page. I can see this book being a big hit with YA readers. I come from Stamford in Lincolnshire. It’s where a lot of TV and films are shot because it hasn’t changed much in 500 years. My childhood was like most people’s – a mixture of lovely and very odd. Lovely because I spent a lot of time with good friends, music and tadpoles. Odd because I spent a lot of time worrying about everything – like war, murderers and poisonous mushrooms (don’t ask). I was a bit weird. Like we all are. I have a shed in my back garden I go to. It’s full of brilliant things – like a mini stable and horses, loads of stationery and a giant old railway station clock (slight ‘Dr.Who’ vibe). My first book ‘My Mad, Fat Diary’ was published a few years ago. Hattie is my third. My second is potentially the best book ever written since Shakespeare – but I can’t make it work so at the moment it’s just a bit rubbish. I haven’t given up hope though.